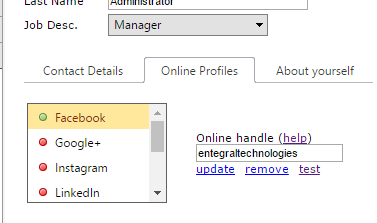 You can now configure various online profiles for agents in the OMS, including Facebook, Twitter and the South African EAAB PrivySeal link. See the OMS online help for more info on the social link configuration. 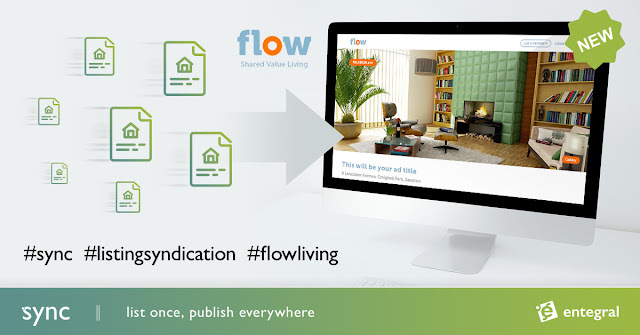 The social links will be integrated with Flex office and personal websites by default this week. The EAAB of South Africa implemented the PrivySeal consumer protection initiative. The OMS now accepts capturing agent PrivySeal information, which can be displayed on Flex powered real estate websites. We will also make the codes available to any external syndication portal that support this. To add PrivySeal to your profile first get your PrivySeal link, e.g. : https://www.privyseal.com/za/john-doe/eaab-estate-agent/1c. Go to your OMS profile. Select PrivySeal from your online profiles, and paste the link in.